Also, this week's featured bloggers are Vicki and Fandomly Bookish, so make sure you check them out too. Post a photo of your favourite coffee mug (or mugs if you can't choose just one). Cool mug. I like owls! Following you on GFC! 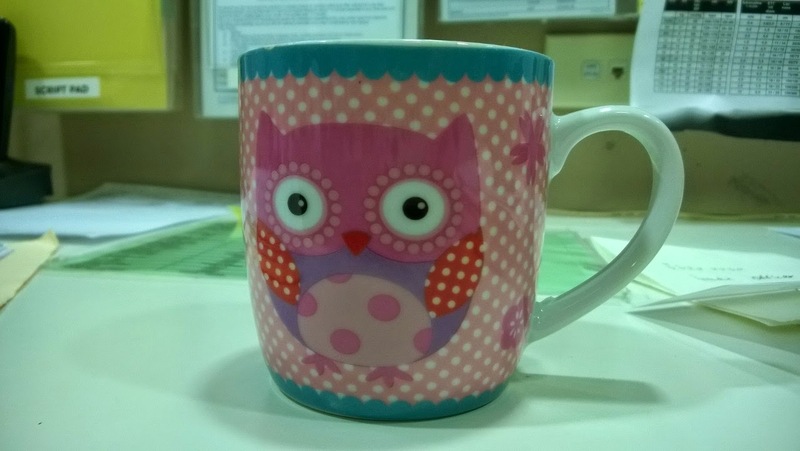 This is the second owl mug I've seen today! They must be popular! New follower via Bloglovin! Here's my FF! Hopping through. Love the owl mug! Owls are so cute. There are lot of owl cups on this hop today. Cute mug! Very cute mug. I'm following you back by GFC. What a cute mug! Sometimes you see stuff and for some reason it clicks. I totally get it.